Chapter 4 covers the more advanced topics available to Cisco IOS routers. 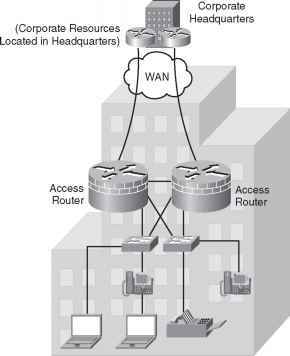 It covers in detail the hardware components of a Cisco router and how to manage Cisco routers. Common Cisco device operation commands are described and examples show how to manage Cisco IOS in today's large IP networks. Cisco password recovery techniques and basic password security are detailed to ensure you have a solid grasp of Cisco device operation. Coverage of standard and extended access lists and examples conclude this chapter.